A welcome green space on the Oltrarno designed by Giuseppe Poggi, this square is dedicated to Nicolai Demidoff (1773-1828), Tsar Alexander I's Ambassador to the Grand Duchy of Florence. The canopied marble monument to Demidoff in the centre, by Lorenzo Bartolini (1870), shows the great man and his son Anatole (who paid for the monument) along with Gratitude. One of the original Russian oligarchs, Demidoff made his fortune in mining in the Urals and in armaments, and arrived in Florence with his two young sons in 1819, the year after his wife died. He lived nearby in the official ambassador's residence, the Palazzo Serristori, where Napoleon's brothers, Jérôme and Joseph Bonaparte had previously hung their hats. He spent a fortune on art to furnish his palazzo, but also on philanthropy, building a school and orphanage in the San Niccolò neighbourhood, contributing funds to the building of Florence's Russian Church and a new hospital in the popular resort, Bagni di Lucca. 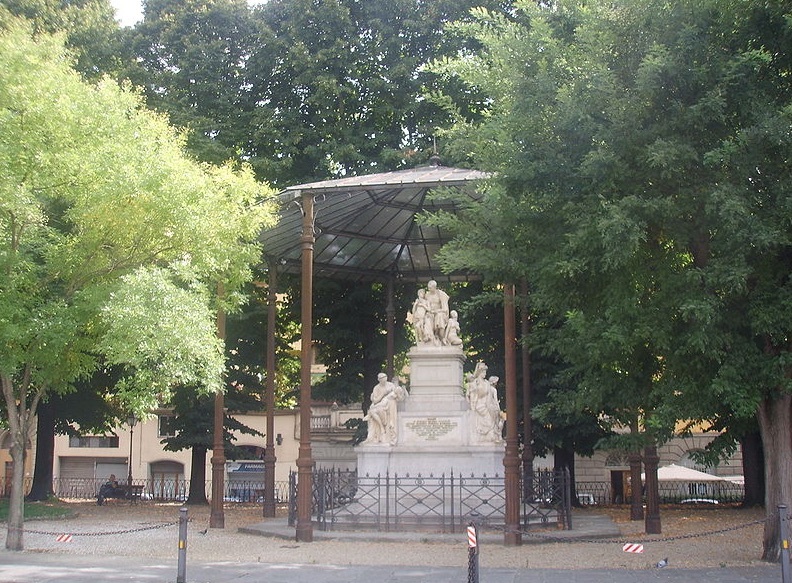 In 1827, the grateful Grand Duke made him the Count of San Donato; when he died suddenly the following year, his sons commissioned this monument, which originally planned for the family villa in San Donato in Polverosa, but ended up outside the Palazzo Serristori until Poggi moved it into his new park.